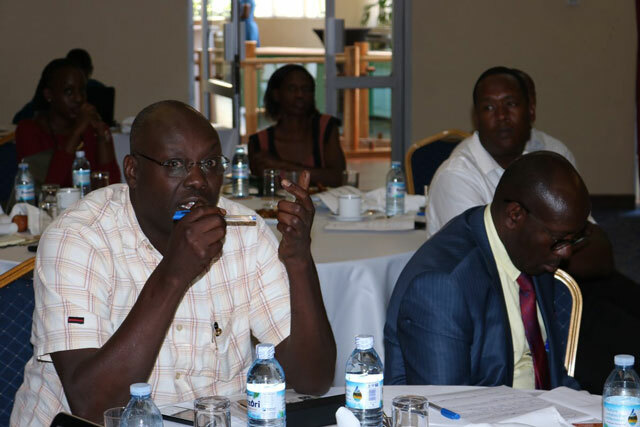 Kampala, Uganda | THE INDEPENDENT | The Public Procurement and Disposal of Public Assets Authority-PPDA has called for the amendment of the PPDA act to provide for the blacklisting of the both the firms and directors cited in any form of irregularities. Apparently, the PPDA act only provides for the suspension the service providers and is silent on the owners of the firms. Section 94 of the PPDA act stipulates that the Authority, may following the recommendation of a Procuring and Disposing Entity or after investigations on its own initiative suspend a provider from engaging in any procurement and disposal process for a period determined by the Authority. The grounds for suspension include breach of the code of ethics of providers, debarment from the procurement process of an international agency of which Uganda is member, conviction of provider over a corrupt or fraudulent practice under the PPDA Act and failure by the provider to substantially perform their obligations under the contract among others. The acting PPDA Director, Benson Turamye, says although they mention the names of the directors of the blacklisted firms, the law doesn’t explicitly provide for their suspension. He says a result; the directors of the blacklisted firms form new companies to continue with business. He disclosed this while appearing before the Finance Committee of parliament to defend the PPDA budget proposal. It came after some MPs queried why some contractors keep securing government contracts even when their companies are blacklisted. Charles Ilukor, the Kumi County MP, said several people keep getting contracts and government tenders even their companies are blacklisted. He asked the Authority to do its best to curb this. Recently, PPDA blacklisted 25 companies including among others Suayo Investments Limited, Top Harvest Agro Consult and Construction Co Limited, Goyen Investments Company Limited, Katcon Services Ltd, Beldom ADB Limited, Baltech Technical Services Limited and Ram Projects Limited.